Ever felt like giving up? Meet Chance. 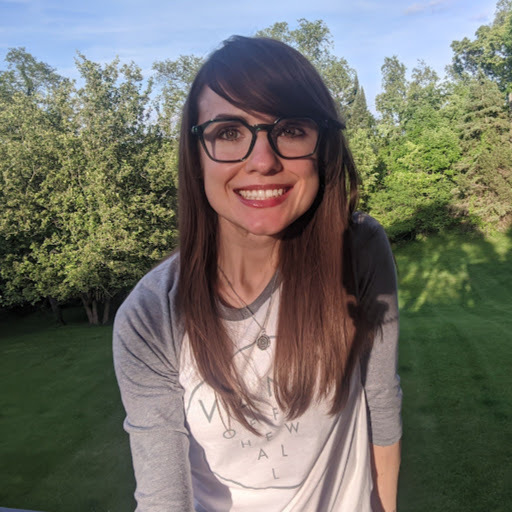 This little superhero is sure to inspire. Chance has had a pretty rough start in life. He was born a normal kitten, able to run and play, able to partake in all adventures sought by kittens. However, things took a turn for the worst when Chance landed in a kill shelter. 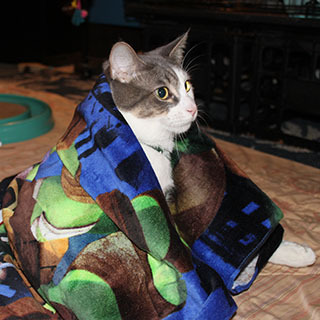 About to be euthanized, he got the first of his second chances when someone pulled him from the shelter thinking he might be a fit as a barn cat, but soon after leaving the shelter, Chance developed hind end paralysis. He was left to dragging himself by his front legs. Upon examination, no explanation was found – no fractures, displacements, or anything that could point to something fixable or non-fixable. Many animals in his place would not have gotten the chance to keep fighting. Chance’s dashing personality and unrelenting spirit quickly won over the heart of Denise Najera, a dedicated volunteer at 4 Paws 1 Heart, an organization established to reduce the number of abandoned animals by funding medical treatments for abandoned, abused, and stray companion animals that otherwise would, in most cases, be euthanized because of a lack of resources to pay for and treat various conditions. 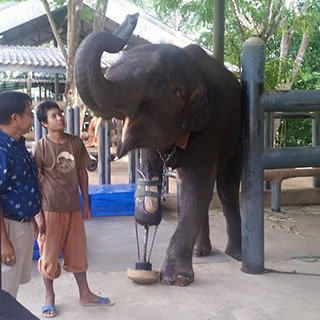 When Chance first entered Denise’s care, his hind legs were stiff to the point of no movement. 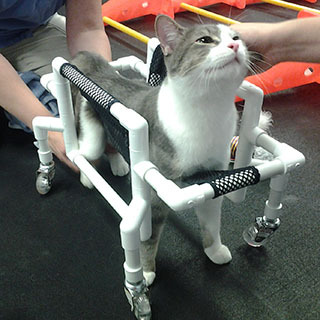 Denise took Chance to Pawsitive Steps Rehabilitation in Rochester Hills, MI where Chance met with Dr. Kern. 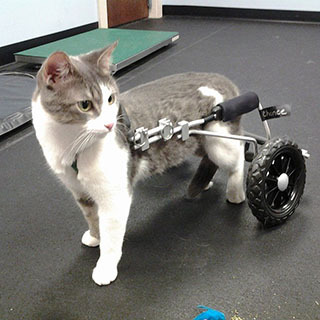 After a couple weeks of physical therapy, which included exercises to explore whether or not Chance would regain strength and feeling in his legs, it was determined that he would be a good candidate for a cart that would allow him support the back half of his body on wheels and walk more like a normal cat. The first cart Chance tried out was made out of pvc pipe and mesh material. He did so well in this cart that 4 Paws 1 Heart, along with some generous Facebook friends, came forward and provided all funding for Chance to get a top-of-the-line cart from Eddie's Wheels. After lots of measurements and a few weeks, Chance received his cart. Animals always amaze me with their resilience, but I was especially amazed when I saw Chance fly off in his cart. The room had to be cleared of any obstacles so he could zoom around freely. He continues to zoom around in his cart for multiple short intervals each day that gradually increase so that he can get accustomed to his new set of wheels. Denise also does exercises and stretches with Chance multiple times every day to relieve the stiffness in Chance’s legs. During this period of transition, Chance goes to rehabilitation once a week to work with Dr. Kern at Pawsitive Steps where he undergoes various treatments and gets the full spa experience. When he arrives, he gets to show off the week's worth of practice in his wheels. Chance also gets some alternative treatments that are really interesting. 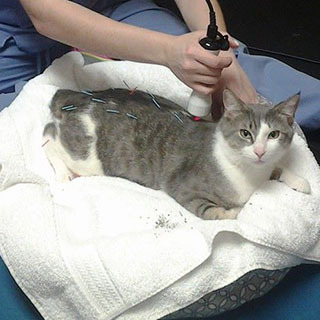 Most people are familiar with acupuncture, but acupuncture isn't just for humans. It's hard to imagine your bouncing ball of energy settling down for acupuncture, but Chance loves it! Acupuncture stimulates the nerves that communicate with Chance's brain helping to improve communication. Apparently it's one of his favorite parts of the weekly visit. In addition, he receives laser treatments. The laser treatments use light energy to stimulate cells to increase blood flow and reduce inflammation. Each of these exercises helps to relieve the stiffness in his legs so he can regain movement and feeling. The most amazing part of this process is still yet to come. After the stiffness improved and he was able to support his weight with his cart, Chance actually started using his legs on his own. The cart has allowed him to focus on the strengthening and movement of his muscles. He is slowly regaining his ability to walk. He may need the cart forever, but time will only tell. There is one thing I can attest to – Chance is one happy little guy. He doesn’t let anything slow him down. Be sure to like Chance's Facebook page ‘A Second Chance for Chance’ where Denise posts lots of pictures and updates on Chance. The reason Chance got his second chance is all due to 4 Paws 1 Heart. 4 Paws devotes almost every penny received to getting animals treatment so that they can be ready for adoption. They have raised quite of few pennies in the past 3 years since their establishment in August 2010. In 2015 alone, 4 Paws has paid over $100k in medical bills for animals to receive treatment they otherwise wouldn't be able to receive. 99% of donations go to funding medical bills. You can follow 4 Paws 1 Heart on Facebook here. If you are interested in helping animals like Chance visit 4 Paw's Donation Page.